Product Claims: Nourish & Shine is a blend of all natural butters with vitamins and essential oils. This remarkable hair nourisher is ideal for medium to coarse hair. It completely melts into the hair helping to reduce dryness, but never leaves your hair feeling greasy...just looking shiny and healthy! Fabulous on your hair, fantastic on your skin! Shea butter, kokum butter, illipe butter, mango butter, vitamins A, D, & E, pear and grapefruit essential oils. I have been wanting to try the Jane Carter Nourish and Shine for some time now. However, it’s a bit pricey at $22 for 4oz so I have been holding off. So, I was very happy to get the opportunity to try it. I know Jane Carter products tend to be on the expensive side, but there are places that sell them for less. 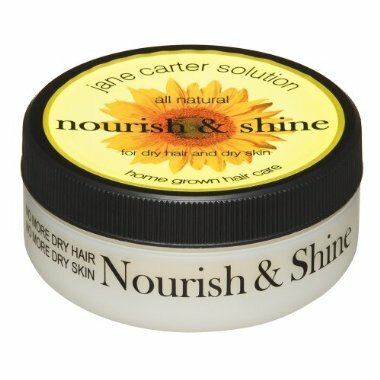 FragranceNet.com sells Jane Carter and other natural hair product we natural sistas like to use at a fraction of the price. You should check them out. A 15% Coupon is available on the website www.Fragrancenet.com and FREE SHIPPING. Who doesn't love free shipping? I have tried the Nourish and Shine on both wet and dry hair and I am in love. It does melt in your hair. I especially like it on wet hair. It seals in the moisture from the water and moisturizer that was applied prior. I must note that you should not be heavy handed – that was my initial mistake. A little really goes a long way. If you apply too much to your hair it can get oily. I realized that for a few days my hair retained moisture well without me adding additional products. My flat twist updos and twist outs were soft and shiny. I am very pleased with this product. It does what it said and more. I am also very happy to know that FragranceNet.com will make it easier to repurchase without breaking the bank. At $15.30 compared to $22, who would complain? · My only wish is that the jar was bigger. Have you tried any Jane Carter's Solution Products? I suppose the free shipping offsets the pricey price. Have you tried Beautiful Hair Products? http://NYBhair.etsy.com rave reviews from satisfied customers! Hey Rene, No i havent tried Beautiful Hair products yet. But i will. lol. Such a product junkie. At FragranceNet.com you can get the Nourish and Shine for 15.30 instead of the regular price of $22 plus Free Shipping. Girl I am not paying $22 for no hair product and certainly not paying shipping on top of that. lol! lol I heard that. well, let me know what you think about Beautiful Hair products when you try them. Peace. If you have a review on Beautiful Hair products and would like to share it you can email it to me and i post it. did you do the twistout with only that product and if not what product you used for your twistout ? I used the Nourish and shine and the Nourishing cream together. It wasnt a tight hold but because the braid out was done on damp hair when it dried the definition was perfect for me.